The Social Services Program provides guidance and education to Masonic Family members searching for resources and assistance throughout the state. Often members who call are searching for solutions for financial hardships, care issues, and long-term care planning. The Outreach Caseworker will help identify assistance through other organizations and agencies. These phone consultations are free of charge. 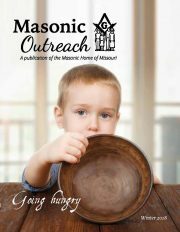 Lodge and Chapter members and their adult children are welcome to utilize this service. Call: 800-434-9804 ask to speak to an Outreach Caseworker.